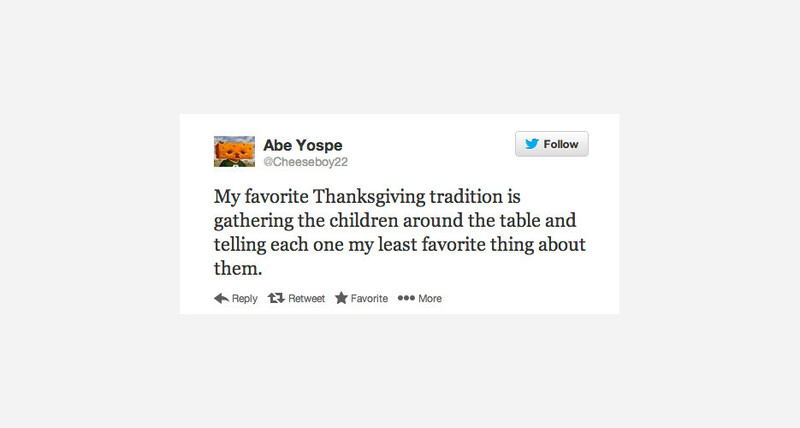 Everybody’s family celebrates Thanksgiving differently. 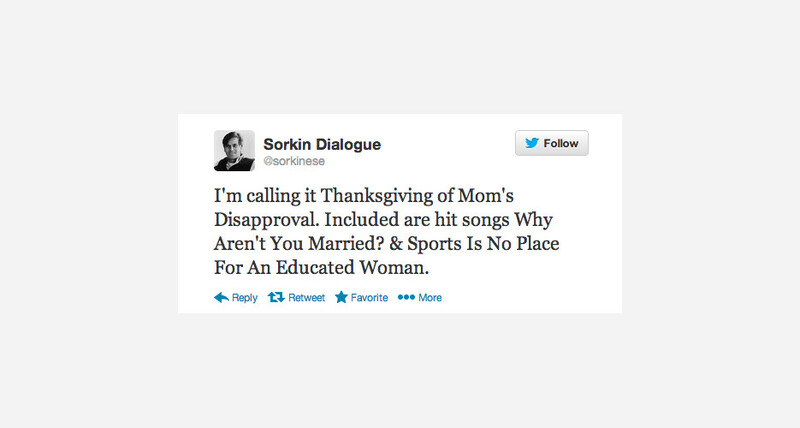 My family plays football and eats turkey, but everyone is entitled to their own holiday rituals, like open mouth kissing your stepdad before sitting down to eat. 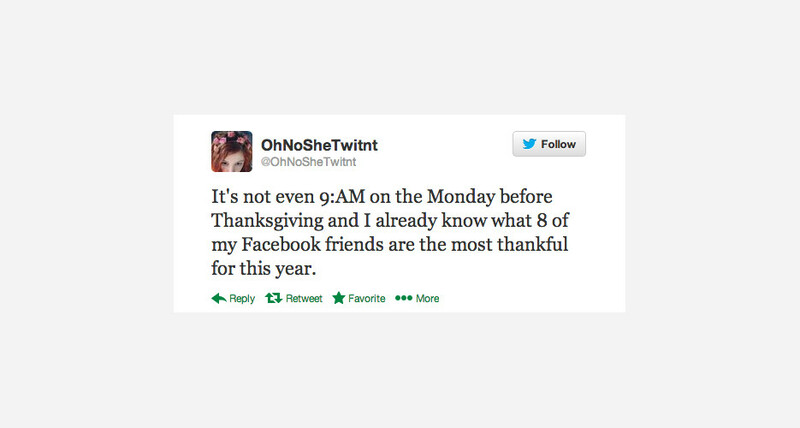 And, more importantly, everyone has the right to drunk tweet on Thanksgiving after that first uncomfortable political discussion with relatives. 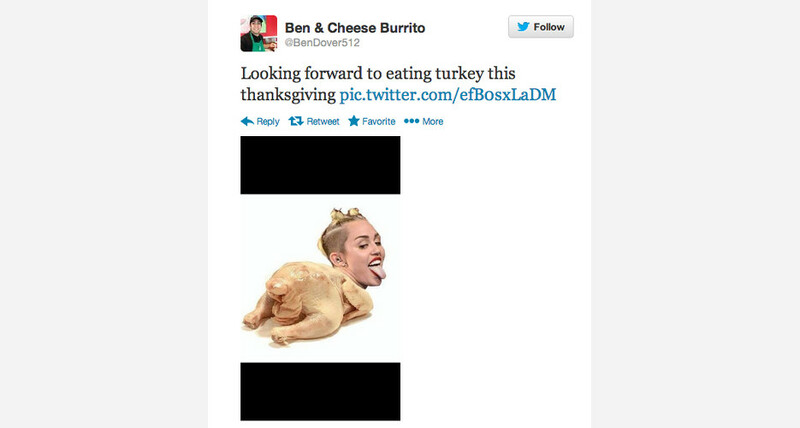 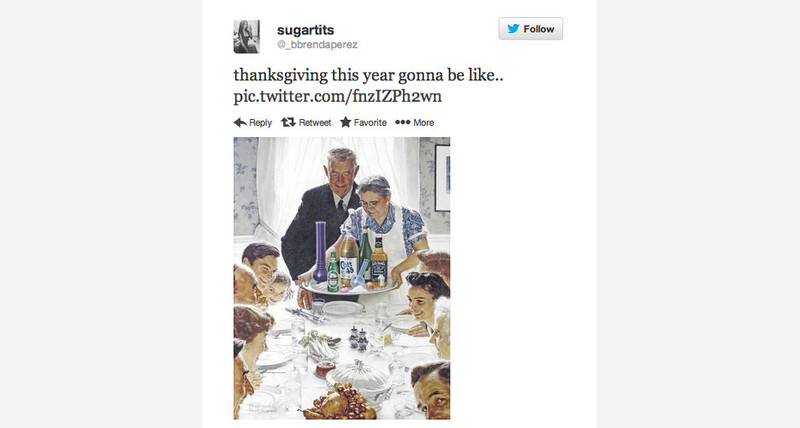 We’ve rounded up Twitter’s best thoughts on Thanksgiving. 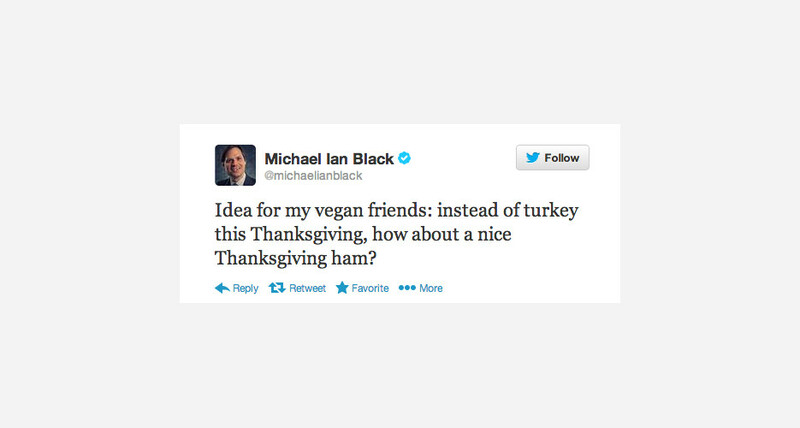 From pre-holiday hangriness to questionable Thanksgiving traditions to vegan Turkey Day options, everyone’s got an opinion (much like your mom, Grandpa, and drunk Aunt Mary). 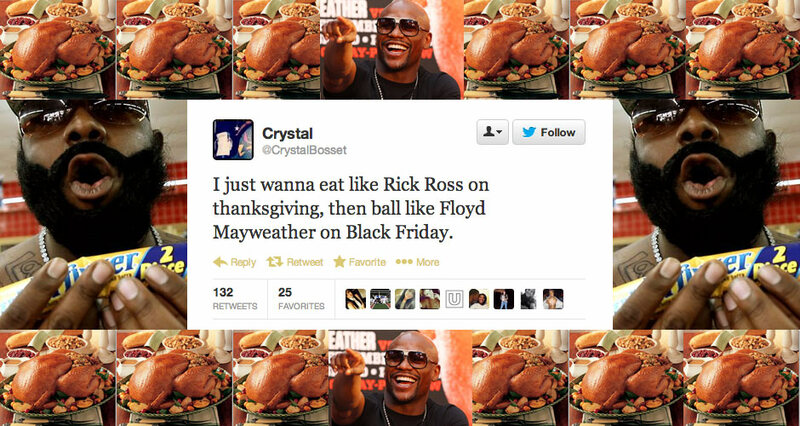 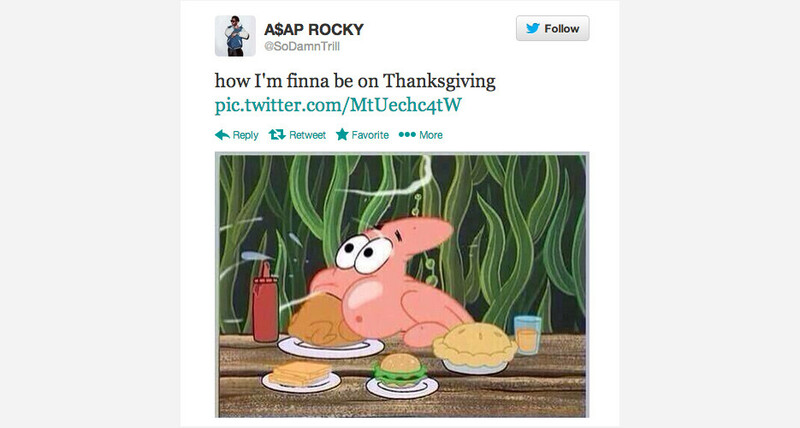 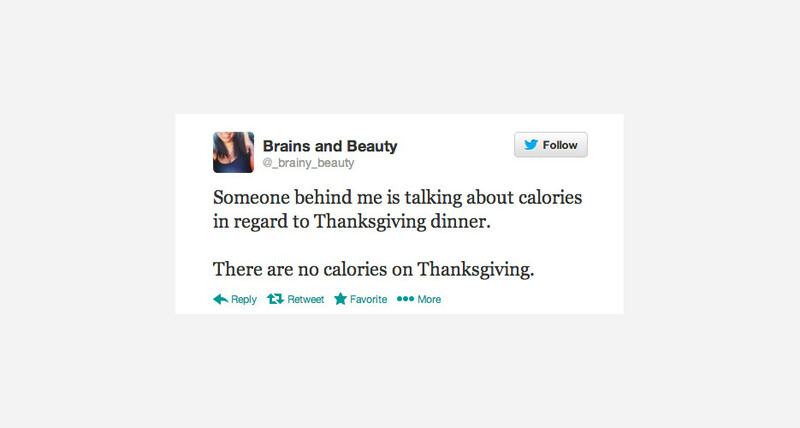 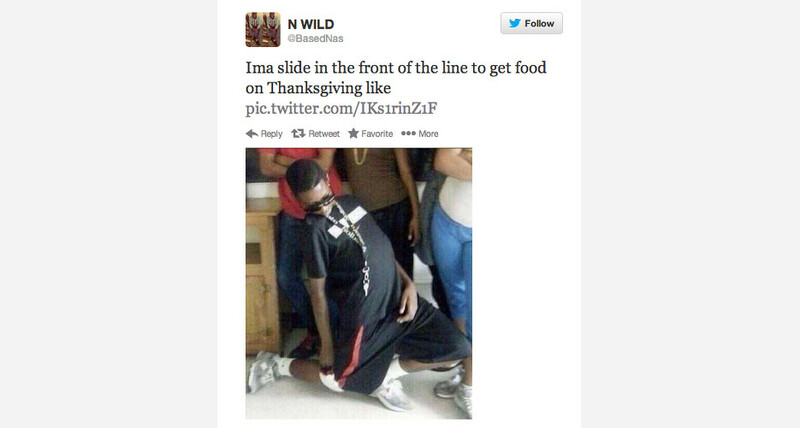 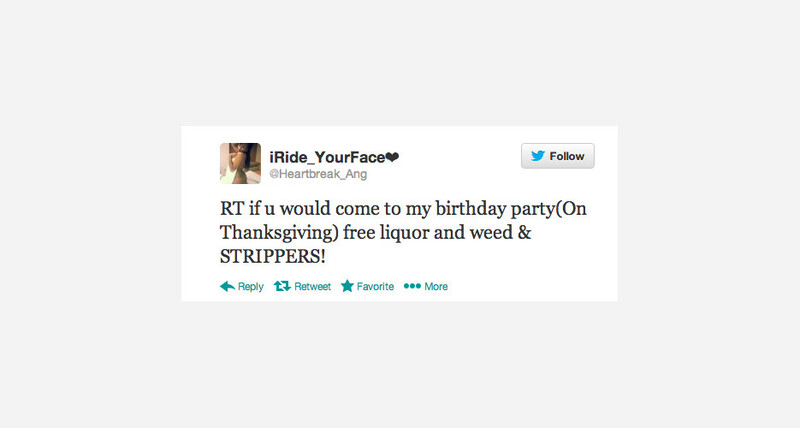 Click through the gallery to see the most hilarious Thanksgiving tweets so far. 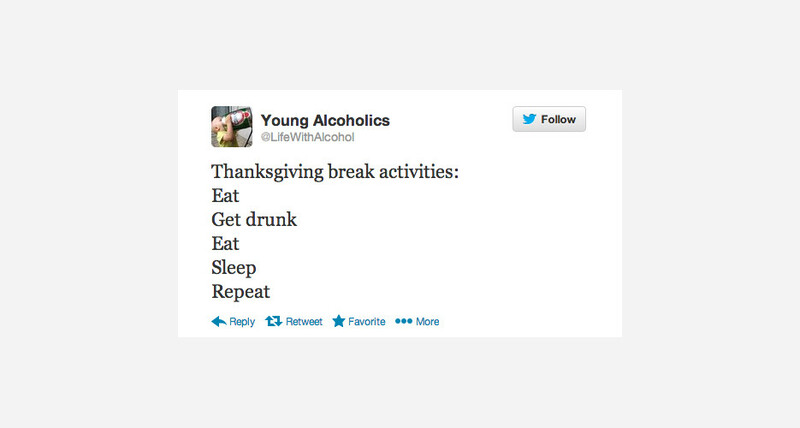 Don’t worry, there will be plenty more to come as everyone starts getting hammered and fighting with their family.